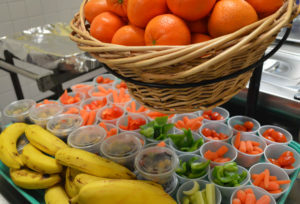 The East Greenbush Central School District would like to remind families about the availability of school meals and free and reduced price meal applications. Families can apply or reapply at any time during the school year if there has been a change in employment status, household income or household size. Applications may be submitted any time during the school year to your principal’s office and they will be sent directly to Food Service Manager Phyllis Sanford-Krug. Please contact Ms. Sanford at 518-207-2474 or Food Service Clerk Louise Lanz at 518-207-2479 with any questions regarding the application process.